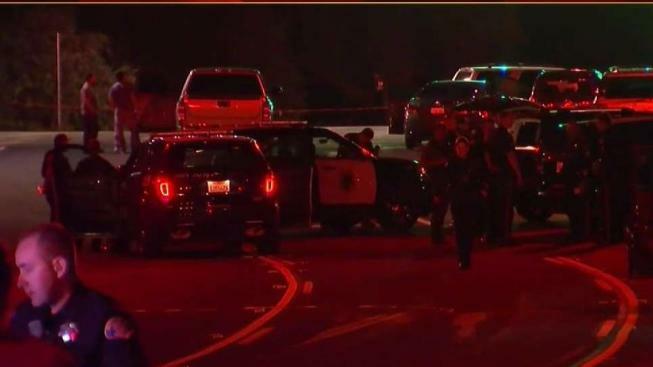 A man shot dead by a San Jose officer late Friday was a gang member who was wanted for armed robbery and had evaded police mere hours earlier, the department said in a statement. Although police did not identify the man, family members said he was Jacob Dominguez, 32. Police, however, said the man was 33 years old. Officers around 7 p.m. Friday tried to conduct a vehicle stop on Dominguez, known to police as a gang member. There was also a felony warrant out for his arrest, police said, and Dominguez knew offers were searching for him. Earlier in the day, he had managed to escape with "erratic and dangerous driving" both on San Jose streets and highways. On Friday night, officers from the department's Covert Response Unit conducted a high-risk stop on Dominguez near Penitencia Creek and North White roads. In turn, he "became uncooperative," police said. It remains unclear when, but shots were fired, police confirmed. Dominguez was struck at least once and pronounced dead at the scene, according to the statement. No San Jose police officers were wounded. Dominguez had a lengthy rapsheet, which included weapon and drug charges, police said. For his part, the officer who opened fire was an 11-year veteran, identified as Mike Pina. As per department policy, Pina is on paid administrative leave. Hundreds of people gathered near the crime scene Saturday night to mourn Dominguez. They described the man as a father of three, who was on his way to see his kids when he was shot and killed. His family also expressed frustration at police officers for being tight-lipped. The Santa Clara County District Attorney’s Office and the San Jose Police Department's Homicide Unit are conducting a joint investigation into the shooting. The case is being monitored by the San Jose Police Department's Internal Affairs Unit, the City Attorney’s Office, and the Office of the Independent Police Auditor. The police department is expected to provide additional details about the shooting at a news conference at 12 p.m. Monday. People with information about the case are asked to call Det. Sgt. Bert Milliken or Det. Raul Corral at 408-277-5283. Anonymous tips can be left at 408-947-7867.